Drama for Life Playback Theatre Company is the only accredited professional playback theatre company in Africa. The Drama for Life Playback Theatre Company is based in Johannesburg as part of Drama for Life Projects. The Drama for Life Playback Theatre was founded in 2008 in association with the University of the Witwatersrand and applies this innovative form of theatre to address various social issues according to a community’s needs. Playback Theatre can be applied to a diverse range of environments and audiences and themed for specific events. 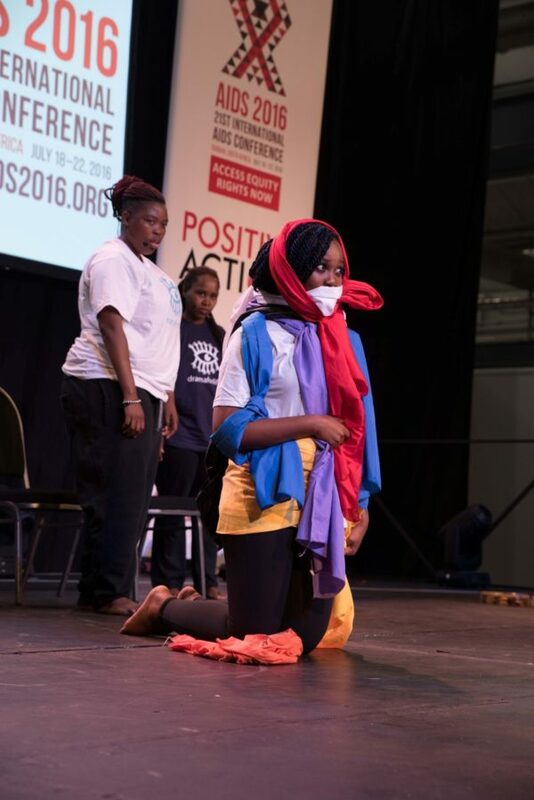 Playback Theatre is especially suited to confronting South Africa’s challenging social issues as it has been effectively used in educational, therapeutic and social change settings in order to break down barriers and taboos around topics such as HIV/AIDS, gender, and issues of race and identity. Playback Theatre is an improvisational form of theatre based on the personal stories of audience members. In the course of a performance, a series of stories are spontaneously shared by volunteer tellers. Each story is then paired with a dramatic enactment inspired by the particular text, mood and images inherent in the 'just-told’ narrative. Playback Theatre is most successful with smaller audiences in the region of 100 people to allow a close community to develop throughout the process of a Playback Theatre performance. The development of skills for self-advocacy, self-organisation and emancipation. Playback Theatre uses music and improvisational theatre to transform the stories of an audience into the art of theatre. A Playback Theatre cast is made up of six members consisting of the facilitator, four actors and musician. In the course of a performance, memories, feelings and social conflicts offered by the audience are all re-enacted on the spot by the performers. DFL Playback Theatre aims to create a space where every voice and any story however ordinary or extraordinary, hidden or difficult might be heard or told. Playback is most effective when centred around a specific theme. It can open communication around sensitive topics and bring people together as they share and witness each other's stories. It is a powerful tool to be used in dealing with communication, specific issues and building a group into a unit. Playback can be used almost anywhere as it requires minimal props and set. Before any performance themes relevant to the community, work or event are identified and are used to frame the performance. This makes every performance unique in its content and thus different every show. DFL Playback tailor makes the themes addressed in each show to the needs of the client. A consultation is suggested before the event. The DFL Playback Theatre Company has tackled many pressing topics such as HIV/AIDS, Racism, Diversity, and Bullying.